A great all round trike from a world-leading manufacturer at a very affordable price! 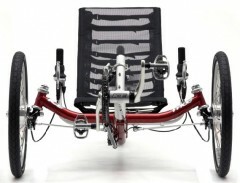 With rear suspension, wide range gears and the ability to fold. Also available in a narrow track version. Now available in a range of colours. Available Red, Blue or Black superb gloss finish. 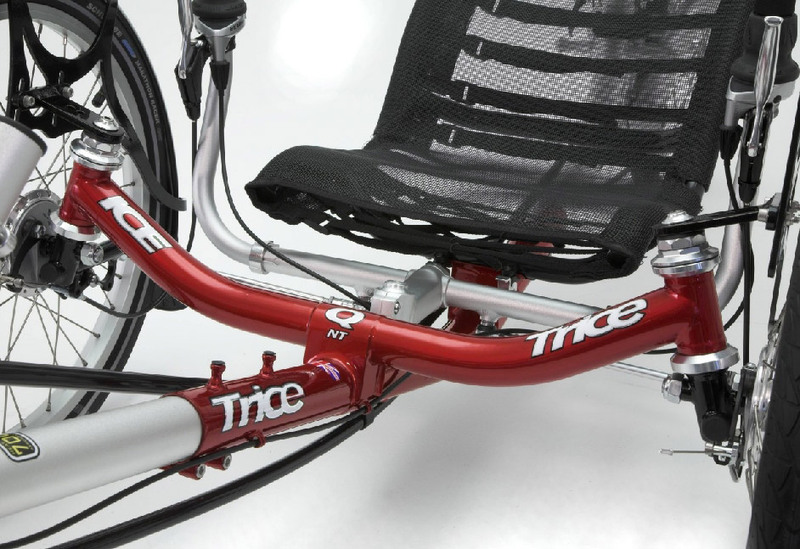 The Trice Q comes as standard with our ultra cool and comfortable mesh seat but if performance is what you crave you may like to spec your Trice Q with the optional hard shell seat. 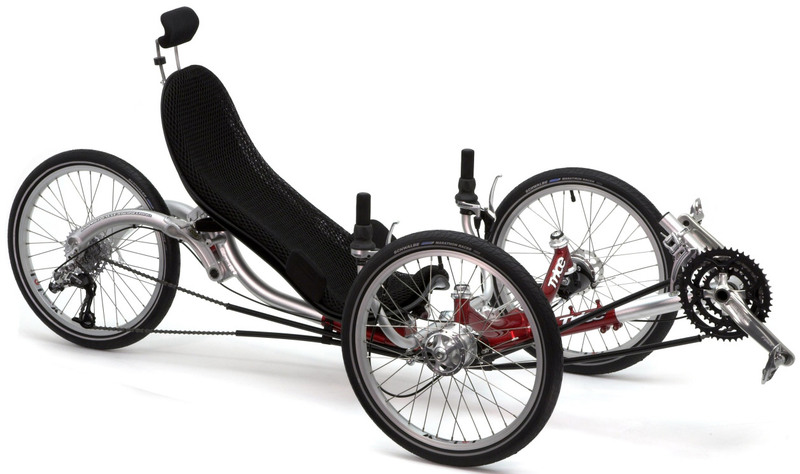 Turning your Q into an ultra fast trike, with the hard shell seat installed there is a massive 16 degrees of adjustment available for the seat angle (28-44˚). 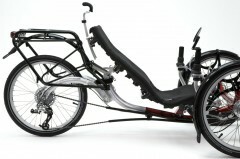 To maximize the aerodynamic advantage of recumbents you need to lie back. 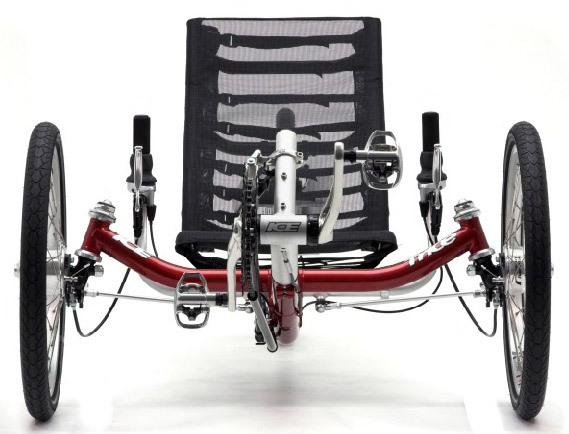 The hard shell seat allows you to do this more so than the mesh seat. If you want to go very fast you also need a solid platform for efficient power production and the hard shell seat does this best. 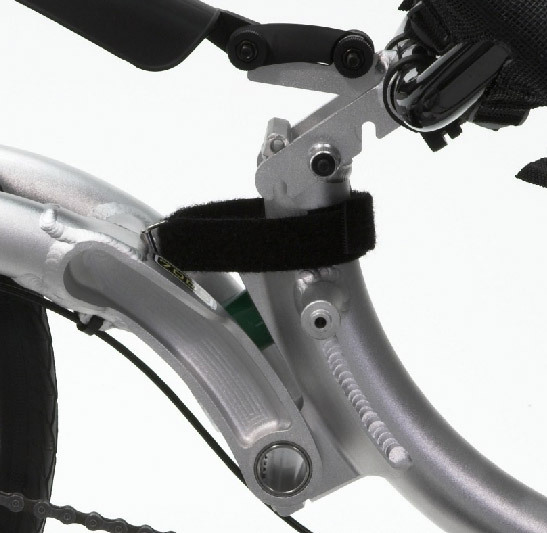 The contoured shape is also enhanced by a unique set of lower body side supports made by ICE to improve cornering performance. Trades Description Act 1968. The manufacturers reserve the right to change the description and specifications to improve the product. Ask for the latest information.